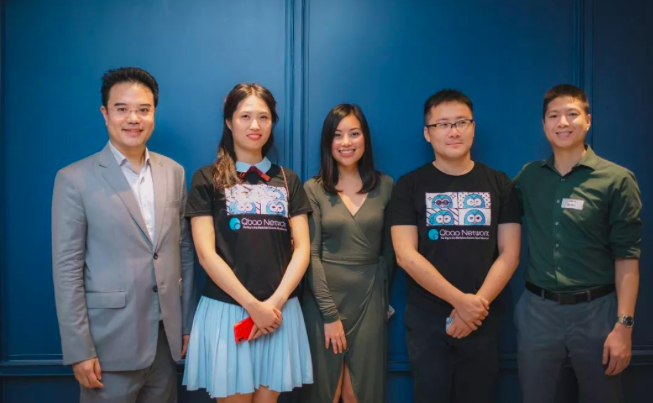 On 23rd July, the Qbao Network team was invited by Qbao partner Bodhi to “Bodhi Asia Tour Meetup” held in Bangkok, Thailand. 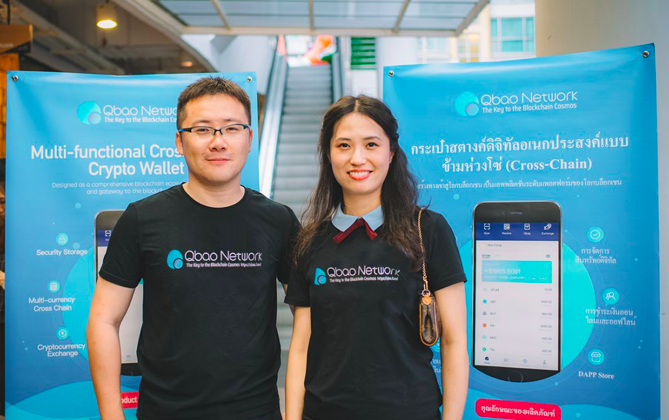 Qbao Network, Bodhi and INK delivered speeches and shared their projects with Thai blockchain enthusiasts and peers. 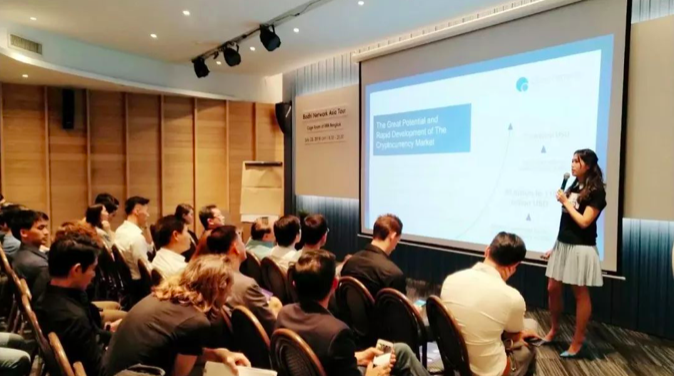 Tracy Shi, Global Strategy Director of Qbao Network, gave a special speech and shared the Qbao Network market news and product roadmap. 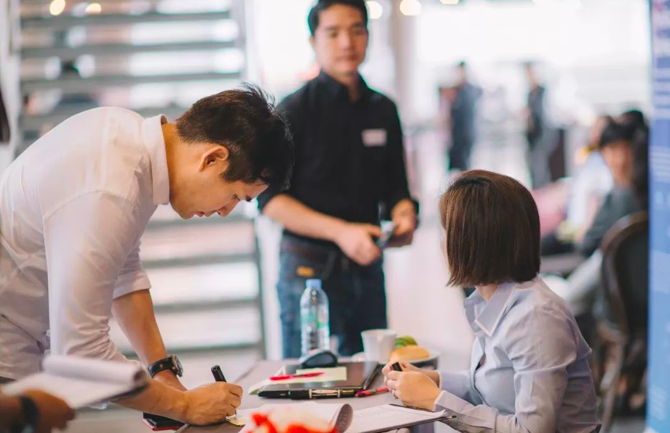 The meetup in Bangkok attracted business people and politicians. 200 audiences including Prinn Panitchpakdi (the Board member of the Stock Exchange of Thailand) and Tipsuda Thavaramara (the Secretary-General of the SEC). It is worth mentioned that the former Thai Deputy Prime Minister also attended the conference. In the meetup, Tracy Shi said that this year would be a year of blockchain. The prosperity of the cryptocurrency market has brought a huge market for cryptocurrency wallets. Qbao Network has solid users base in the blockchain market. 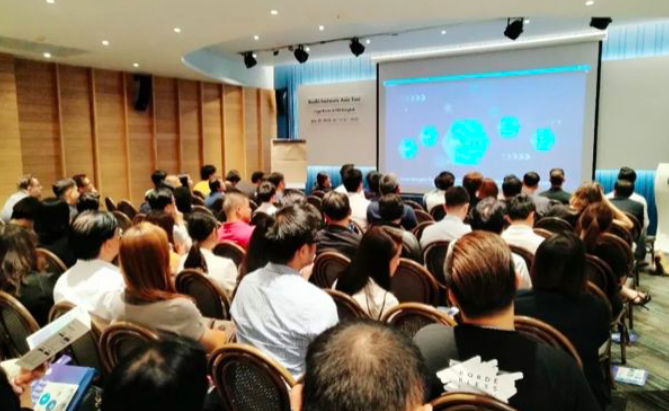 During the speech, the audience was very interested in the development of the current market of Qbao Network. Tracy Shi replied that Qbao Network wallet now updated to version 3.3. The asset management products in the version 3.3 sold out in a short time and the market is in great potential. 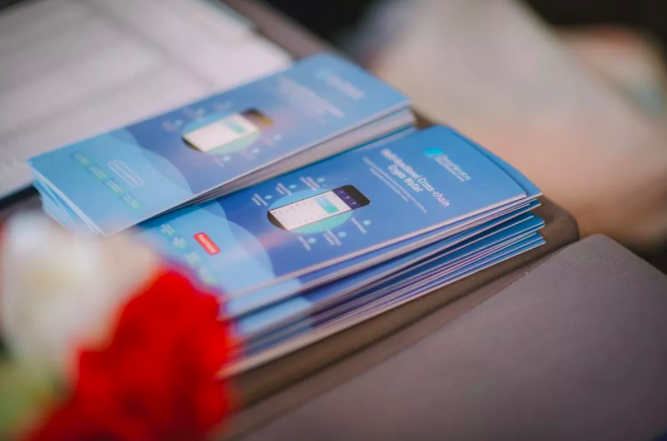 Finally, Tracy Shi also said that Qbao Network will develop more functions that are beneficial to users in the wallet, such as online and offline payment, DApp Store and so on. We are working to build a diversified blockchain world and to create a user-friendly multi-functional cross-chain cryptocurrency wallet.